Over the past few years, France has seen the growth of elite sommeliers en café, coffee experts in the same way that sommeliers are experts on fine wine. A sommelier en café is not to be confused with a barista, says Gloria Monténégro de Chirouze, founder of La Caféothèque in Paris, who believes she was a world pioneer in marrying the coffee and sommelier concepts. A sommelier en café, on the other hand, knows all this and is also a coffee taster. “He has developed his palate to appreciate the different qualities of each coffee from each different terroir”. A sommelier en café will have tasted at least 100 different coffees picked by hand in 70 coffee-producing countries, and grown in varying degrees of shade, at varying altitudes. He or she will provide expert advice on matching coffee to sweet and savoury foods. The sommelier en café’s discerning palate has to be maintained through frequent tasting, and this is why Mrs Monténégro de Chirouze spends some of each morning tasting different coffee crus at La Caféothèque. Her use of vocabulary and concepts taken from the world of wine is hardly surprising. – to coffee, a love that followed from her native country. She had the unusual idea of working closely with oenologists (wine experts) and sommeliers, to create the concepts of coffee crus, grand crus and terroirs. Although the French have long been coffee drinkers, their coffee was generally dismissed by foreign coffee and food experts as bad. Mrs Monténégro says the reason is that, unlike wine, French people saw coffee as “a drug, a drink to wake you up, not something that you would drink for pleasure”. 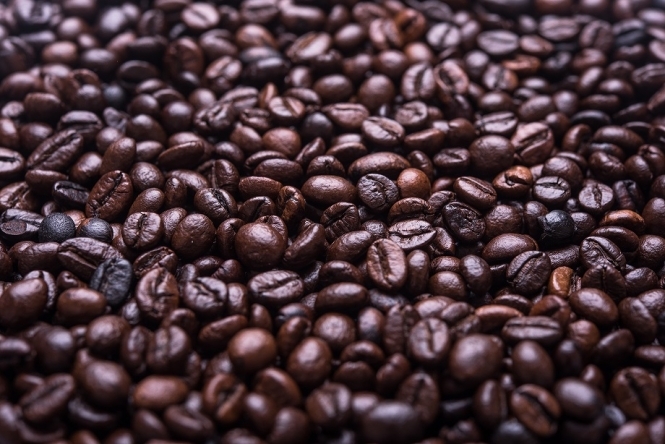 French coffee’s poor reputation may also have something to do with the robusta coffee bean, which has long played a prominent role. Its origins are in western sub-Saharan Africa and it is low in acidity and high in bitterness. It is the species most used in instant coffee, but New York Times blogger Oliver Strand said “drinking robusta is like putting balsa wood in your mouth”. There are more than 500 species of wild coffee in the world but the only other species commonly cultivated for consumption is arabica, which is more difficult to cultivate and has a more delicate, perfumed flavour. French coffee is usually blended. Mrs Monténégro said: “Blends don’t have their own personality and characteristics. To find that you need a fine coffee: a cru, or a grand cru”. The distinction between a blend and a cru is similar to that which is made in wine between a vin de pays and an appellation contrôlée. In 2005, five years after she took up the cause, Mrs Monténégro founded La Caféothèque at 52 rue de l’Hôtel-de-Ville. There, as well as a coffee shop, she opened a coffee school, providing training ranging from simple tasting courses for novices through to a 56-hour sommelier en café training. Since its inception, La Caféothèque has trained 30 sommeliers en café each year, and now oversees a worldwide resource of “Caféoth’ex”, sommeliers en café trained by Mrs Monténégro who have set up their own fine coffee businesses from Grenoble to Manhattan. There is even, apparently, a Caféoth’Ex in North Korea. The term sommelier en café has begun to catch the attention of the fine-dining French. At its Académie du Café, Cafés Richard now offers a one-day training course entitled “barista – le sommelier du café”. While this muddling of the roles of barista and sommelier might not impress Mrs Monténégro, the course’s existence indicates the emphasis now being placed on tasting as part of the role of coffee professionals. Malongo, a Niçois coffee business, also trains high-end coffee professionals near Nice, in Paris, and at le Studio Café, part of the world-famous Institut Paul Bocuse in Lyon. If it has not yet started using the term sommelier en café, Malongo’s emphasis on quality is in keeping with the philosophy of La Caféothèque. So, what makes a good cup of coffee? Can such subtlety be found only in Guatemala? “I used to think so, but now I realise that there is no single best coffee in the world. “Every country has coffees with their own unique characteristics and each of these has excellent qualities to offer”. Coffees can be categorised by the method of extraction used. Those using the espresso method, where a small amount of nearly boiling water is forced under very high pressure through finely ground coffee beans, are thicker with a creamy top. They are used as the base for many coffee drinks, such as cappuccino or the noisette. Coffees made using the “gentle methods” of extractions include filter and brewed coffees, where the coffee is made by passing water through roasted, ground coffee beans. Café or café noir is an espresso-sized pungent short black coffee. It is the default in cafés if you order un café. Usu­ally made with robusta blend, it is made by either espresso or gentle method. Décafféiné (déca) is any decaffeinated coffee. Espresso, sometimes called un express, is a small concentrated shot of coffee – usually between 20 and 30ml. Ristretto or café serré is a very concentrated espresso, of 22ml. Noisette is a large espresso with half the amount again of hot milk on top. It is called a noisette as its colour resembles that of a hazelnut. It is like a macchiato [a shot or double shot of espresso with a dot of foamed milk on top] or a cortado [an espresso cut with a little bit of warm milk]. Café allongé – an espresso served in a larger cup, with a jug of hot water to dilute it. Café crème is a strong espresso with hot milk. A grand crème is generally for first thing in the morning and this is what to ask for if you like latte, although a latte in the US is made with filter coffee. Cappuccino remains relatively unusual in France. It is made with equal parts (approximately 60ml) of espresso coffee, steamed milk and frothed milk. It is usually served from mid-morning to mid-afternoon but not after dinner. Americano is a coffee made with 30ml of espresso served with 60ml of hot water (see américain, below). 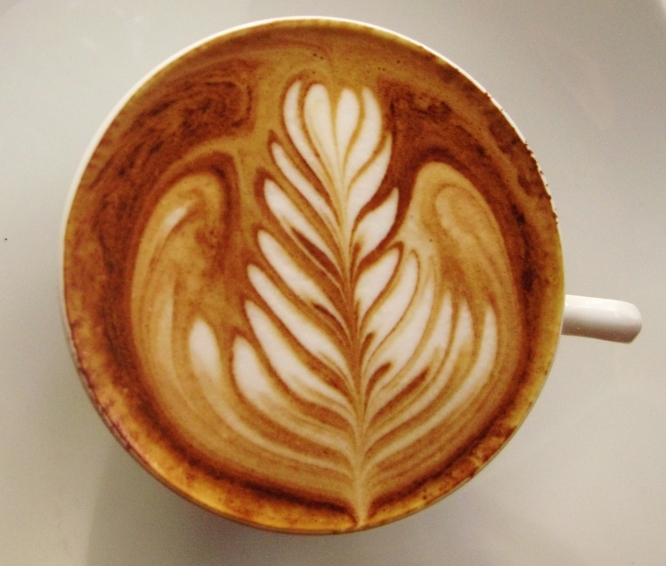 Flat white has its origins in Australia and is not yet often seen in France. It is made from a double shot of espresso mixed with foamed milk that has been consistently heated to avoid splitting. Served in a 165ml cup. Café au lait is made with brewed coffee instead of espresso, with warm, steamed milk, and is served in a large cup. Café américain or café filtré is a filtered coffee. It is not available in all French cafés.